Ace industries Inc. is a leading provider of Cranes, Hoists, and Hoist Parts. Additionally we are also a provider of Crane & Hoist inspections. The following post was created using information submitted by a senior service associate with Ace Industries inc. (John Funderburke). 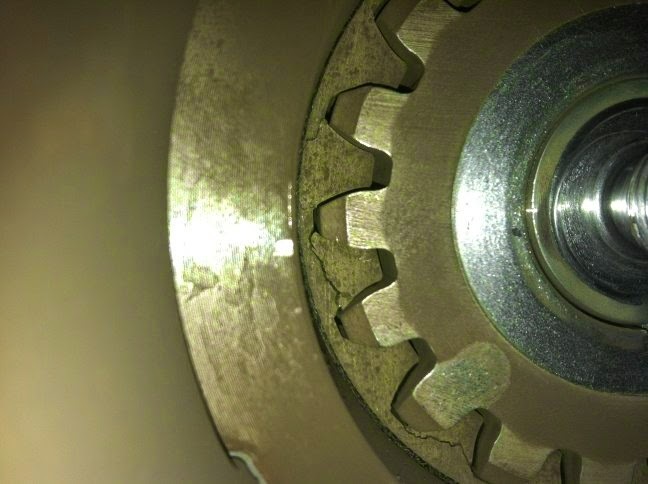 The following images and explanation will demonstrate the importance of scheduling regular inspections of all Crane & Hoist components and operations throughout your facility. The following pictures were taken during a routine inspection. 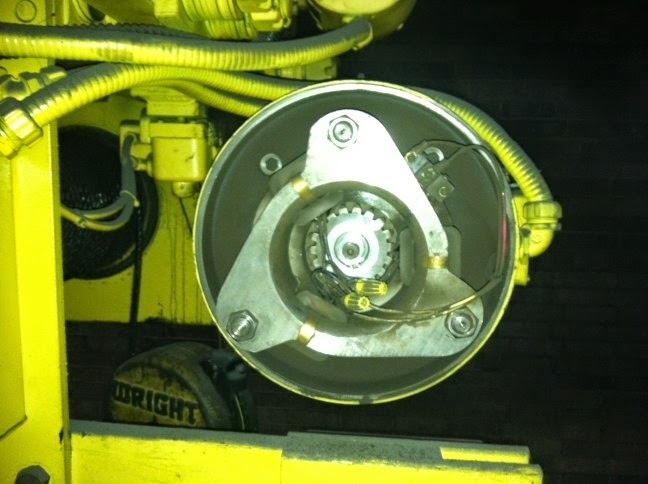 This hoist has damage that can be seen by simply removing the brake cover. 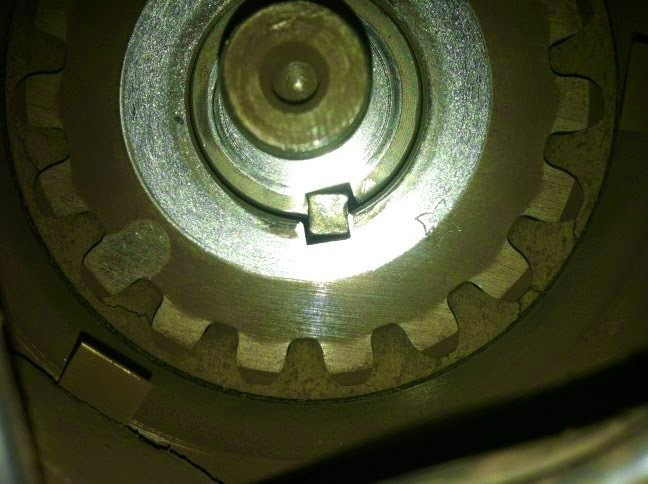 By examining the picture you can see cracks in the brake disc teeth due to deterioration. This Hoist can be repaired easily and put back into use after a brief "down" period to service and repair the brake. If the owner of this Hoist had not had this inspection, there is a very good chance that the brake for the hoist would have failed in the near future. This could potentially lead to a very dangerous situation for all employees who operate the hoist or who work in the proximity of the hoist. Scheduling regular inspections for your cranes & hoists and making the necessary repairs could not only pro-long the life of your hoists but also potentially save lives and prevent injuries. Ace specializes in five distinct types of service, in-house repairs, inspections, emergency service, installations, and modification projects. Ace Industries' Certified Crane Care Inspection Program is specifically designed to provide inspections and preventative maintenance guidelines in accordance with all appropriate governing bodies, safety codes, manufacturer's guidelines, and industry best practices surrounding overhead lifting equipment. Ace Industries is a factory authorized service center and master parts distributor for almost every major hoist, crane, and overhead lifting component manufacturer. Our factory authorized technicians have the most experience, the best equipment and highest skill level. Our lead technicians have an average 15 years of hoist and crane service experience. Ace Industries is a factory authorized service center and master parts distributor for almost every major hoist, crane, and overhead lifting component manufacturer.